Chris Maxwell is the Director of Spiritual Life and Campus Pastor at Emmanuel College in Franklin Springs, Georgia. Chris speaks around the world in churches, retreat centers, conferences, and medical conventions. In addition to being an author of those books, Chris writes articles, reviews, curriculum, poetry, songs, commercials and speeches for various magazines, publishing companies, websites, and newspapers. He has written for Leadership Journal, God’s Word for Today, Ministry Today, The Orlando Sentinel, Charisma, Enrichment, LIVE, Lift, The Sonshine Bulletin and others. 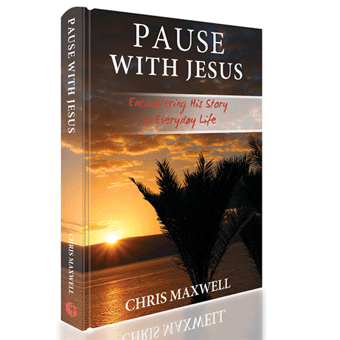 He has also served as editor or ghostwriter for over twenty books, and written chapters and devotionals for other books, including Traci Mullins’ A Grandmother’s Touch.